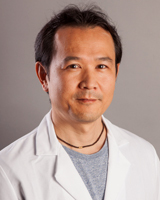 Dr. Makoto Senoo received his Master degree in Biomedical Engineering from Keio University in Japan in 1994 and his PhD in Medicine from Tokai University School of Medicine in 2002, followed by postdoctoral fellowship at Harvard Medical School in 2002-2007. Since 2007, Dr. Senoo has been an Assistant professor at the Institute for Regenerative Medicine, University of Pennsylvania. His lab focuses on intrinsic and extrinsic regulation of homeostasis and diseases in epithelia, with a long-term goal of developing stem cell-based therapeutic options. Senoo M, Seki N, Ohira M, Sugano S, Watanabe M, Inuzuka S, Okamoto T, Tachibana M, Tanaka T, Shinkai Y, Kato H. A Second p53-related protein, p73L, with high homology to p73. Biochem Biophys Res Commun (1998) 248: 603-607. Senoo M, Shinkai Y. Regulation of Vï¢ germline transcription in RAG-deficient mice by the CD3ï¥-mediated signals: implication of Vï¢ transcriptional regulation in TCRï¢ allelic exclusion. Int Immunol (1998) 10: 553-560. Nishi H, Isaka K, Sagawa Y, Usuda S, Fujito A, Ito H, Senoo M, Kato H, Takayama M. Mutation and transcription analyses of the p63 gene in cervical carcinoma. Int J Oncol (1999) 15: 1149-1153. Senoo M, Tsuchiya I, Matsumura Y, Mori T, Saito Y, Kato H, Okamoto T, Habu S. Transcriptional dysregulation of the p73L/p63/p51/p40/KET gene in human squamous cell carcinomas: expression of ï„Np73L, a novel dominant-negative isoform, and loss of expression of the potential tumor suppressor p51. British J Cancer (2001) 84: 1235-1241. Senoo M, Mochida N, Wang L, Matsumura Y, Suzuki D, Takeda N, Shinkai Y, Habu S. Limited effect of chromatin remodeling on Dï¢-to-Jï¢ recombination in CD4+CD8+ thymocyte: implication for a new aspect in the regulation of TCRï¢ gene recombination. Int Immunol (2001) 13: 1405-1414. Senoo M, Matsumura Y, Habu S. Identification of a novel retrovirus long terminal repeat (LTR) that istargeted by p51 (TAp63) and selective dominant-negative activity of p73L (ï„Np63) toward p53 responsible promoter activities. Biochem Biophys Res Commun (2001) 286: 628-634. Nishi H, Senoo M, Nishi KH, Murphy B, Rikiyama T, Matsumura Y, Habu S, Johnson AC. p53 homologue p63 represses epidermal growth factor receptor expression. J Biol Chem (2001) 276: 41717-41724. Senoo M, Matsumura Y, Habu S. TAp63ï§ (p51A) and ï„Np63ï¡ (p73L), two major isoforms of the p63 gene, exert opposite effects on the vascular endothelial growth factor (VEGF) gene expression. Oncogene (2002) 21: 2455-2465. Senoo M, Hoshino S, Mochida N, Matsumura Y, Habu S. Identification of a novel protein p59scr, which is expressed at specific stages of mouse spermatogenesis. Biochem Biophys Res Commun (2002) 292: 992-998. Wang L, Senoo M, and Habu S. Differential regulation between gene expression and histone H3 acetylation in the variable regions of the TCRï¢ locus. Biochem Biophys Res Commun (2002) 298: 420-426. Senoo M, Wang L, Suzuki D, Takeda N, Shinkai Y, Habu S. Increase of TCR Vï¢ accessibility within Eï¢ regulatory region influences its recombination frequency but not allelic exclusion. J Immunol (2003) 171: 829-835. Senoo M, Manis JP, Alt FW, McKeon F. p63 and p73 are not required for the development and p53-dependent apoptosis of T cells. Cancer Cell (2004) 6: 85-89. Suzuki D, Wang L, Senoo M, Habu S. The positional effect of Eï¢ on Vï¢ genes of TCRï¢ chain in the ordered rearrangement and allelic exclusion. Int Immunol (2005) 17: 1553-1560. Ueki Y, Lin CY, Senoo M, Ebihara T, Agata N, Onji M, Saheki Y, Kawai T, Mukherjee PM, Reichenberger E, Olsen BR. Increased myeloid cell responses to M-CSF and RANKL cause bone loss and inflammation in SH3BP2 “cherubism” mice. Cell (2007) 128: 71-83. Senoo M, Pinto F, Crum CP, McKeon F. p63 is essential for the proliferative potential of stem cells instratified epithelia. Cell (2007) 129: 523-536. Carter RA, Engiles JB, Megee SO, Senoo M*, Galantino-Homer HL* (*co-senior authors). Decreased expression of p63, a regulator of epidermal stem cells, in the chronic laminitic equine hoof. Equine Vet J (2011) 43: 543-551. Suzuki D, Senoo M. Increased p63 phosphorylation marks early transition of epidermal stem cells to progenitors. J Inv Dermatol (2012) 132: 2461-2464. Suzuki D, Senoo M. Expansion of epidermal progenitors with high p63 phosphorylation during wound healing of mouse epidermis. Exp Dermatol (2013) 22: 374-376. Lee YH, Williams A, Hong CS, You Y, Senoo M, Saint-Jeannet JP. Early development of the thymus in Xenopus laevis. Dev Dyn (2013) 242: 164-178. Suzuki D, Leu NA, Brice AK, Senoo M. Expression analysis of Dact1 in mice using a LacZ reporter.Gene Expr Patterns (2014) 15: 21-30. Suzuki D, Sahu R, Leu NA, Senoo M. The carboxy-terminus of p63 links cell cycle control and proliferative potential of epidermal progenitor cells. Development (2015) 142: 282-290. Linardi RL, Megee SO, Mainardi SR, Senoo M, Galantino-Homer HL. Expression and localization of epithelial stem cell and differentiation markers in equine skin, eye and hoof. Vet Dermatol (2015) 26: 213-e47. Suzuki D, Senoo M. Dact1 regulates the ability of 3T3-J2 cells to support proliferation of human epidermal keratinocytes. J Inv Dermatol (2015) Jun 22. doi: 10.1038/jid.2015.235.